Something terrible has happened this last month. Our favourite Thai restaurant has temporarily closed down! OK, so the staff have simply just gone back to Thailand for their holidays and the restaurant will be open up again soon. I guess I should be grateful that it isn’t another story of a restaurant closing down because the food is either too spicy for the sensitive German palate or too expensive for the rather frugal average German…. As much as I appreciate living in central Berlin and having easy access to a wide range of good restaurants and different cuisines the one thing that still upsets me is the lack of good Thai or Vietnamese food in Berlin. 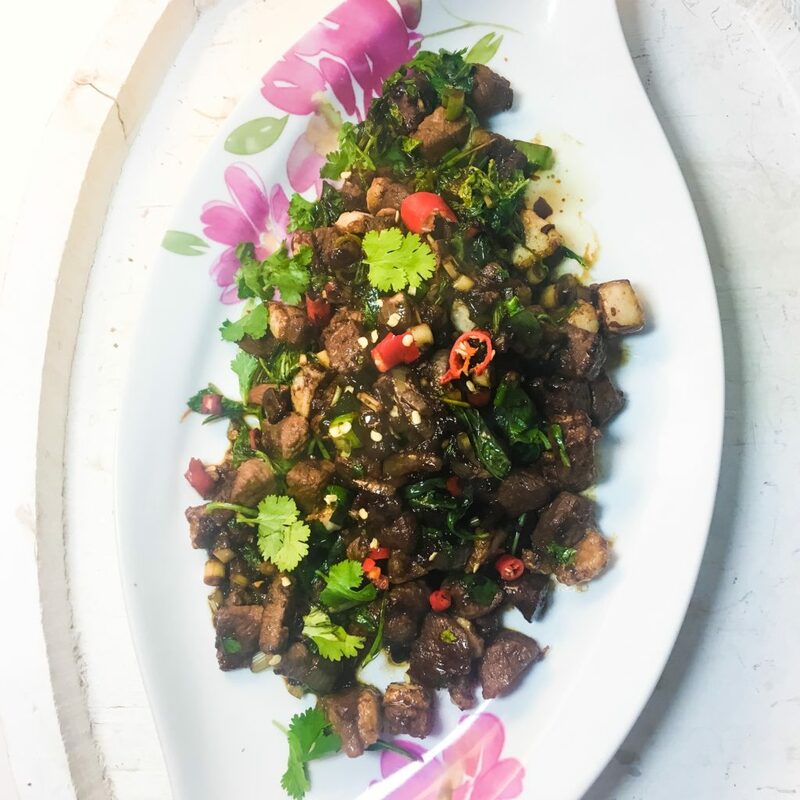 And what is more upsetting is the fact that every street is full of restaurants serving up Thai or Vietnamese dishes but are sadly generally awful. 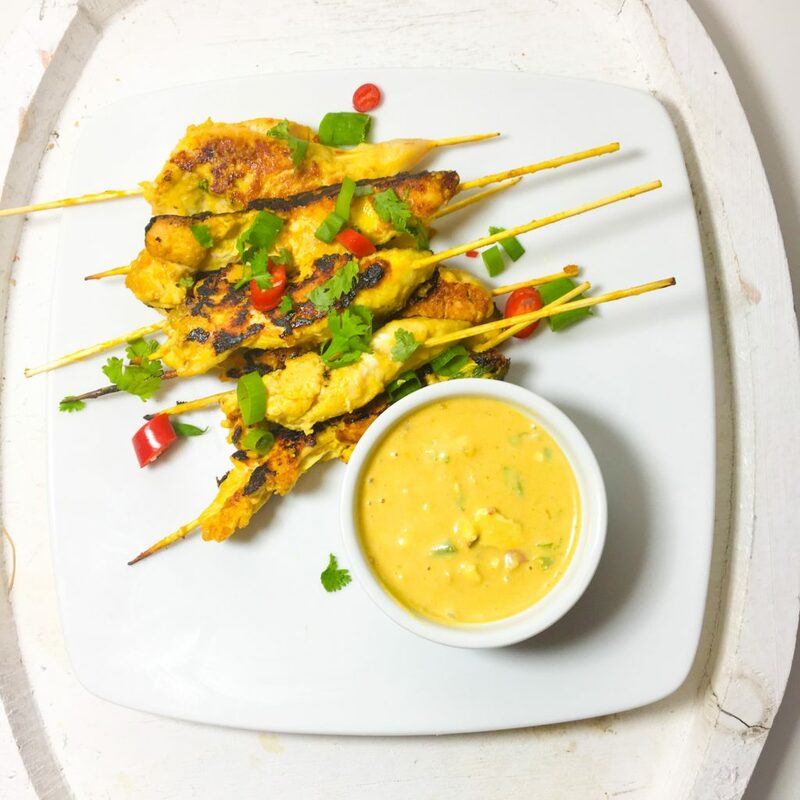 I am talking about dishes that are bland, lacking in spice and just some kind of generic coconut curry or a simple noodle dishes smothered in a cheap peanut sauce or topped with some mango and chillies…. 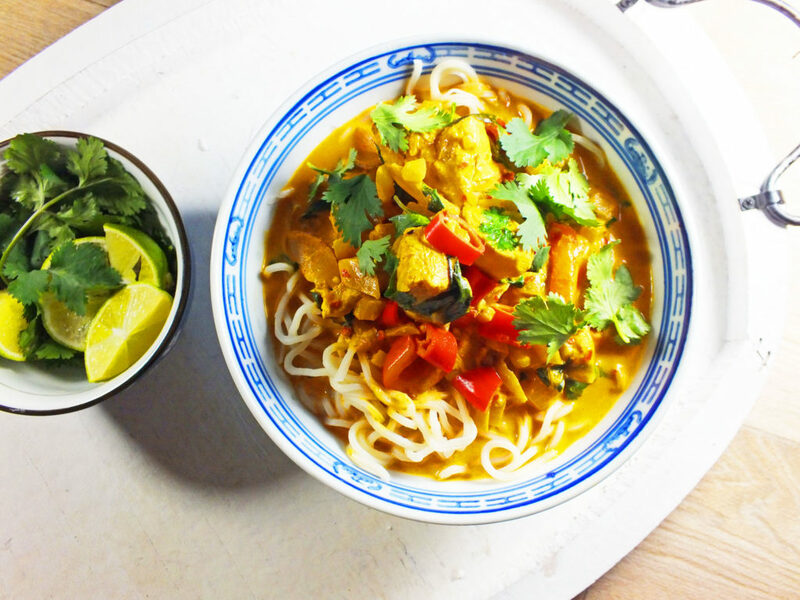 Thai is one of my favourite cuisines – it is fresh, tasty and quick to make. And while there are a couple of good Thai restaurants around you just can’t beat making your own! I always stop by a local Asian store such as Asia Mekong to pick up plenty of fresh coriander and sweet basil. 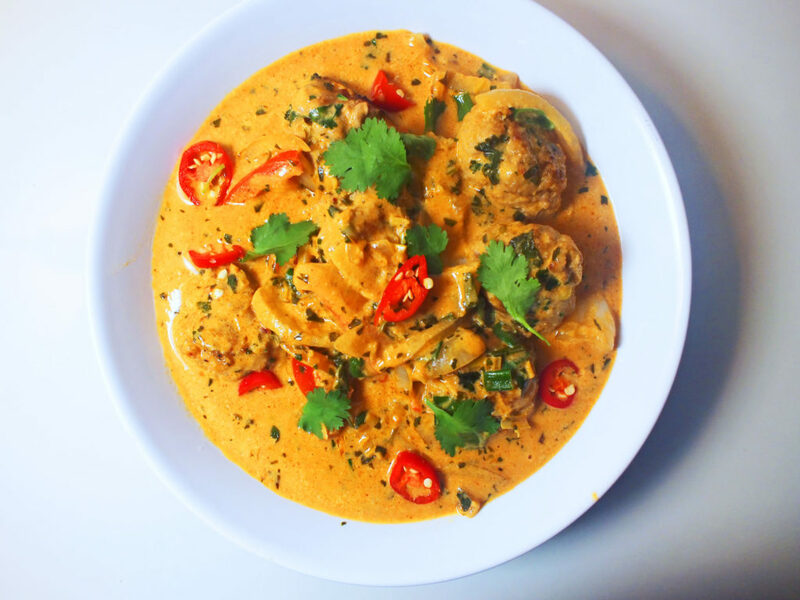 My cupboards are full of various spices which means this dish can be quick to prepare…. I love Asian food. It can be light, fresh and reasonably healthy. I also find it quick and easy to make after work. I made a Thai green curry last night and any meal that involves cooking with one pan (apart from the rice) is a winner for me! Finding fresh spices and ingredients can be quite limited in a German supermarket. You can of course find your standard root veg and basic salad ingredients but finding anything that may appear ‘exotic’ is a no go I am afraid. 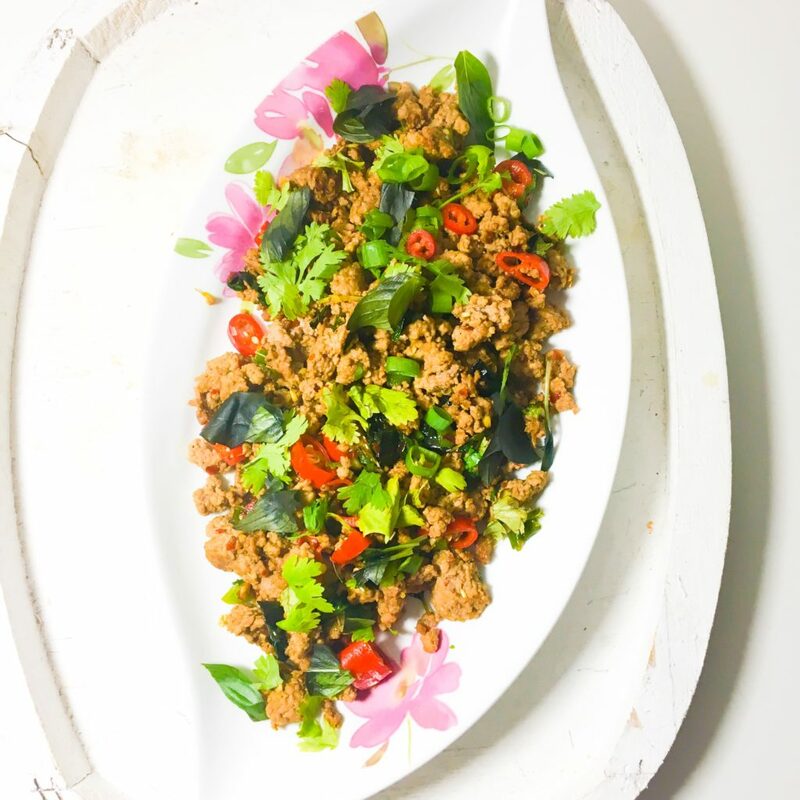 If you are hoping to find some thai sweet basil in your nearest large supermarket you can forget it – standard basil can sometimes be hard enough to come by! You will find all packets of spices you can imagine, pastes, fresh herbs and vegetables and packet and tinned goods. Also, for any of those missing a cup of ‘proper’ tea over here in Berlin they also sell PG Tips….